Following its ultra-successful debut last year, All Day I Dream's Balearic Blue returns to Ibiza for its second season on Ibiza, this time around at Cova Santa. Here's how it all kicks off. Longtime musical partners YokoO and Sébastien Léger will be joining head honcho Lee Burridge for the opening on Thursday 23 May. More special guests to be announced soon. 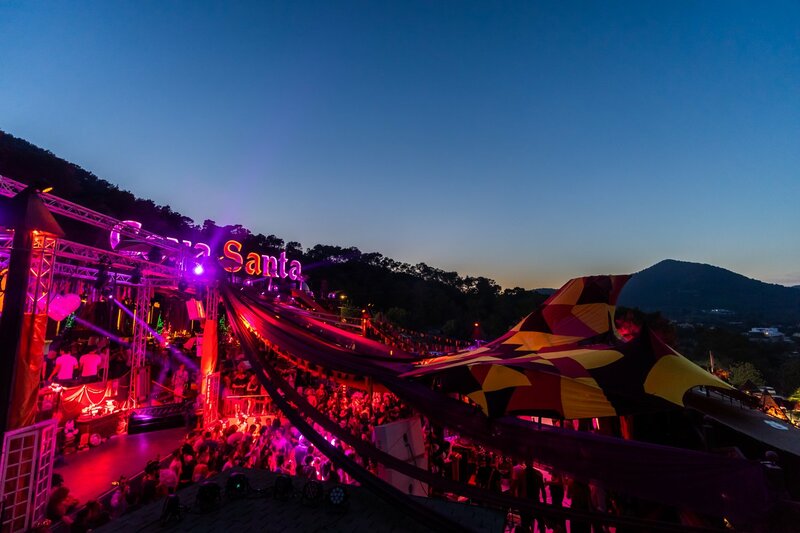 The stunning hillside venue will be adorned in flowers, lanterns, fairy lights, structural art and more to create a musical sanctuary where social norms, genres, and musical politics are left behind. This genuine musical journey offers dreamy, mesmerising music made up of intricate productions. You have four chances to catch the dreamy party. See below for full details, confirmed line-ups and tickets.